To purchase a copy, click the image above. 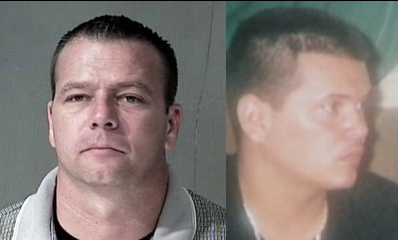 Rick Valentini aka Bryan Stewart convicted by Juan Martinez for the [2nd degree] murder of Jamie Laiaddee [without a body], and additional counts of fraud. “Is that what she means when she is talking to you about domestic violence? “… and of course when she’s there with Darryl Brewer, it’s not her fault again, that the relationship is souring. No, not at all. It’s not her fault because well, Mr. Brewer doesn’t want to marry her. “Well, this individual, that attempted to manipulate you, believes, based on what we’ve heard, that even though she may have engaged in actions, she may have done certain things, none of it — absolutely none of it — is her fault. Why could it possibly be her fault? If you look back in her history, which is the important part of it involving her relationships with men, what do you see? Well, you know what — he goes and he talks — he sent letters to another woman over the Internet. And, it isn’t her fault that she found out about it, of course not. How could it be her fault that she found out about it, if the library doesn’t have enough security attached to that particular computer? To have some sort of device attached to it so that somebody can’t come along and hit that backspace button, so that whatever was using it before…maybe one or two or three or four people before that somebody could just come along and hit that backspace button. 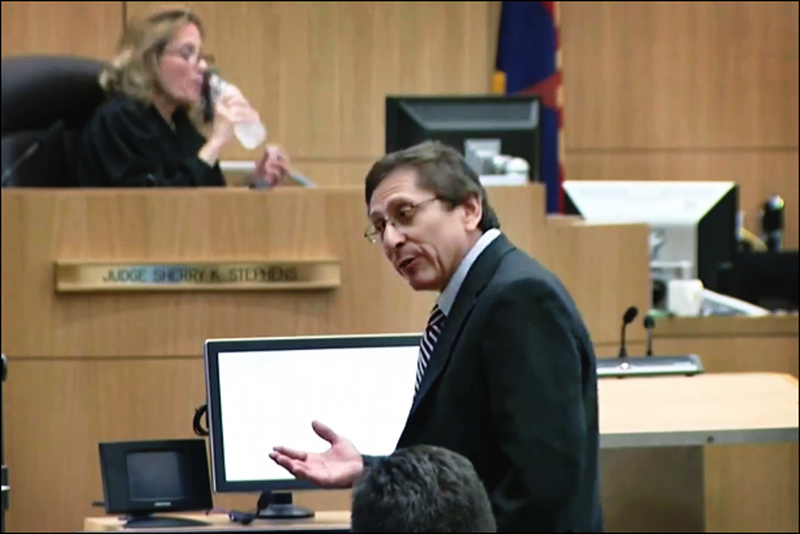 *An example: Arias’ medical credentials – which are roughly zero – are still superior to medical examiner Kevin Horn, who even went to medical school and still got everything wrong. *This video is proof that HLN – despite all evidence to the contrary – did at least one useful thing. Ms. Willmott: What’s hearsay? She’s not quoting anybody. I’m not understanding what the hearsay is. 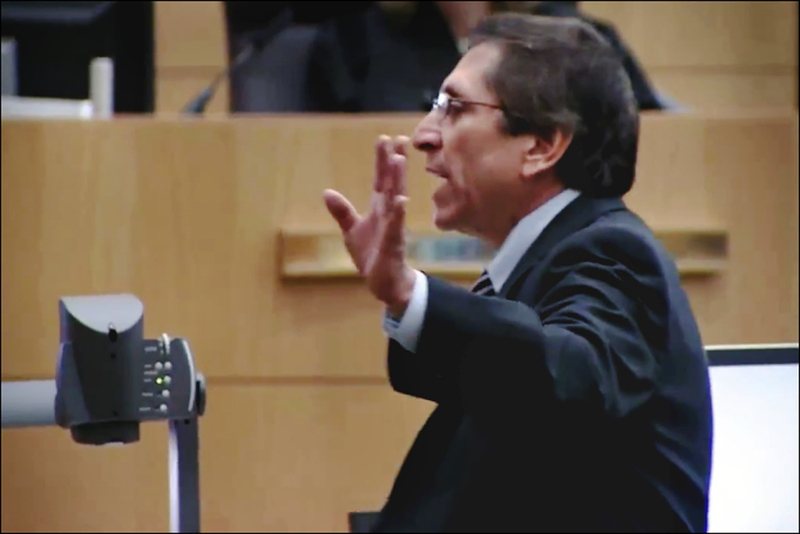 Mr. Martinez: Well, then maybe you ought to go back to law school. I mean, she’s talking about an item, an out-of-court statement. How else could she have gotten that knowledge from other than out-of-court statement offered to prove the truth of the matter asserted. 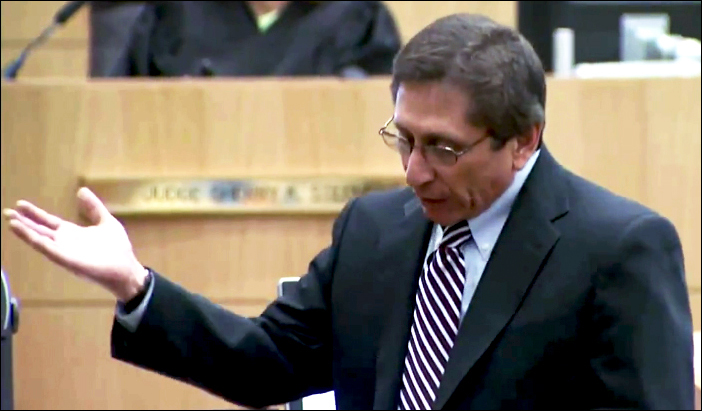 I think it’s under, I think, it’s 801 Arizona rules of evidence. 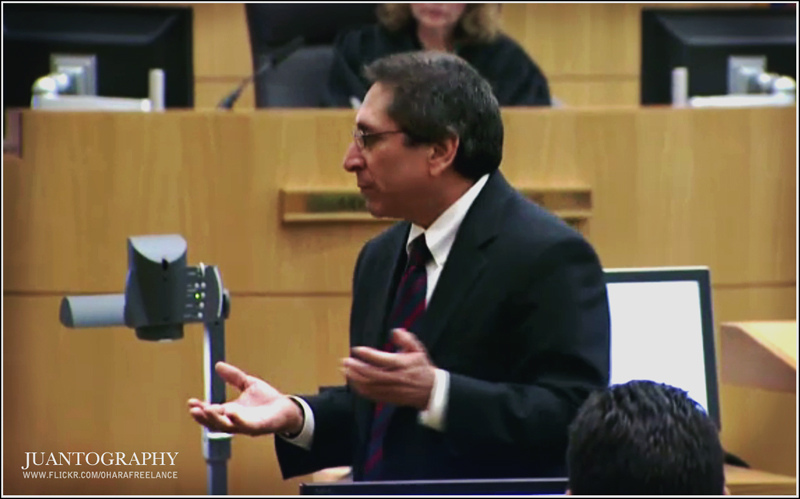 Ms. Willmott: Well, I’m really familiar with hearsay, especially after this trial. I’m also familiar with what hearsay is not, and this is what we’ve been discussing. She’s been talking about subject matter this whole time. The Court: Where are you going with this? What are you trying to elicit? Click on scumbag’s photo to read UK article about the case. 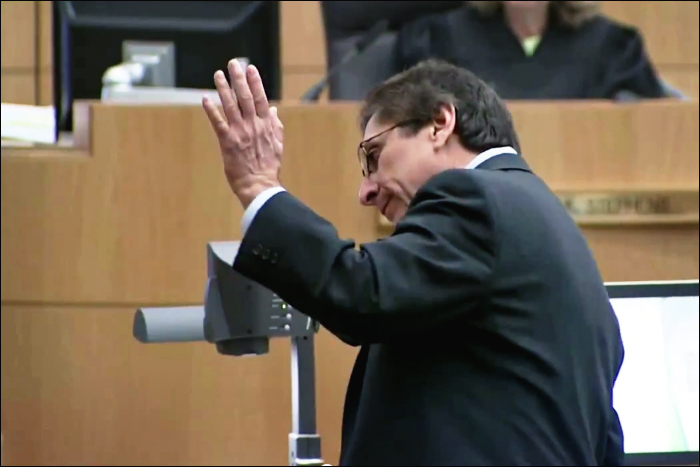 Penalty phase retrial for sentencing pending [after hung jury, 8-4 favoring death]. 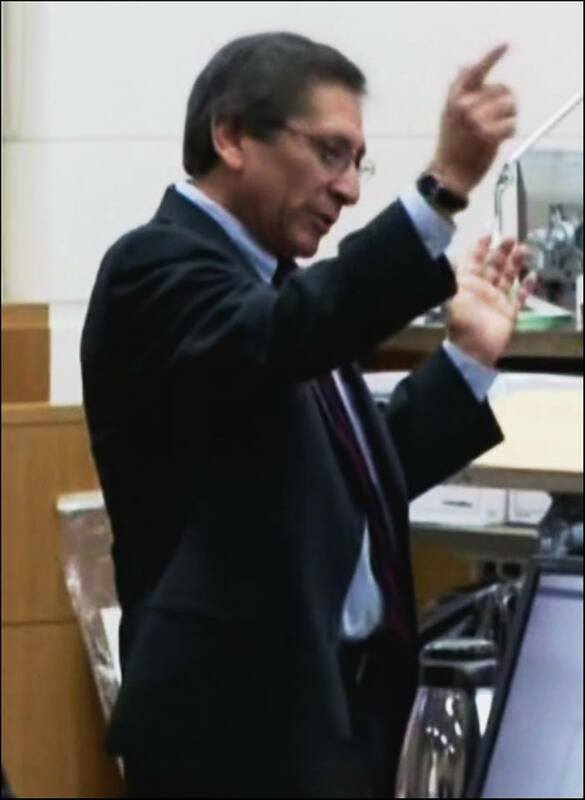 Juan Martinez wins conviction against mega-evil Wendi Andriano for capital murder; she is currently on death row. Robert Towery’s clemency application [from death to LWOP] was denied and he was executed days later. 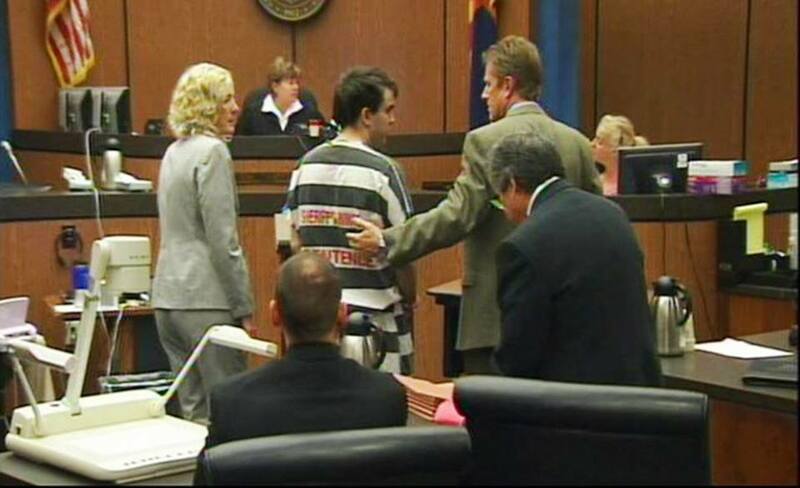 Justice was finally served for the murder and torture of victim, Mark Jones. This video covers the murder of Jamie Laiaddee, whose body has still not been found [Aug 2013]. Trial highlight according to… everyone. 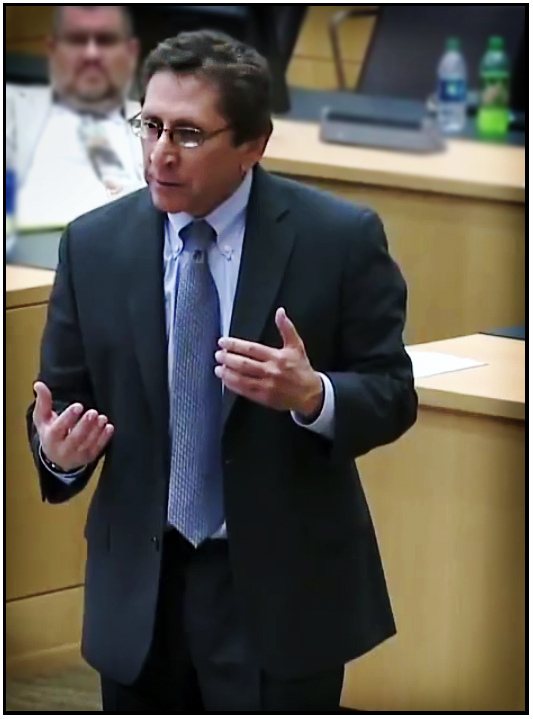 Juan Martinez beginning his closing argument in the State of AZ vs. Jodi Ann Arias, Count of first-degree murder. “But now, instead of a gun, instead of a knife she uses lies. And she uses these lies in court when she testified to stage the scene for you. Just like she staged the scene for the police, after she killed Mr. Alexander. And this woman, who would stage the scene, has even attempted to stage the scene through the use of the media. She has courted the media, she has gone on national television. You’ve seen the programs and you’ve seen some of the — her words to the media. She has also attempted, or gone out in search of the limelight. She has signed a manifesto, just in case she becomes famous.